Facial scrubs are the perfect recipe for smooth, glowing and blemish-free skin. The scrub cleans the dirt from the pores and helps in removing the dead skin cell, giving the face a brighter look. Thus, no skin care regimen is complete without face scrubs. Unlike the rest of the body, scrubbing the face holds special importance as the facial skin is the most exposed part of the entire body. Supple facial skin is also a major factor in beauty, which explains as to why the shelves at departmental stores, these days, are groaning under the weight of skin care products, with a significant portion being devoted to face scrubs. Needless to say such products come with a weighty price tag attached. Since face scrubs need to be used regularly, they can prove to be quite a money drainer in the long run. Now, are you at a loss of whether to think about the skin or the money? Go the organic way and you can take care of your skin, without ripping off your wallet. Natural face scrubs that are made from homemade ingredients are as effective as commercial products, if not more, and they don’t even make a dent in your pocket. Also, the natural face scrubs do not come with any side effects and they can also be safely used for any skin types. Given below in the article are a few such natural face scrubs. Take half a cup of brown sugar. Make sure that the sugar is not golden. Add as much water as to wet the sugar but not dissolve it. Wet the face with a damp cloth and apply the brown sugar gently in circular upstrokes. Leave the brown sugar on the skin so that it dissolves well into the skin. After about ten minutes, wash the face. Brown sugar exfoliates the skin like a mild chemical peel. Take some almond and grind them finely to get 2 tablespoons of almond paste. In a small bowl mix together this almond paste with 1 tablespoon of honey and 1 teaspoon of lemon juice. Rub this gently on the face for a few minutes and then rinse with warm water. Don’t be surprised when you watch the glow on your face! Add 1 tablespoon of honey and 1 tablespoon of milk to half a cup of wheat husk. If you don’t get wheat husk, then you can use wheat porridge grains as well. Make the mixture into a thick paste and apply it on the entire face. For 5 minutes, rub the paste on the face in strong circular motion. Then, gently wash with warm water. Grind a handful of almonds to get about 3 tablespoons of the almond powder. Mix the grounded almond with 3 tablespoons of medium oatmeal, 2 tablespoons of powdered milk and 2 tablespoons of powdered rose petals. To this mixture, add a little bit of almond oil and mix thoroughly. Scrub the face with this paste to make the face clean and glowing. Put the orange and lime peel to dry until they are brittle. However, don’t put them to dry in the sun. Grind them together to form a fine powder. In a small bowl, take 2 tablespoons each of this peel powder and wheat bran. Add half a tablespoon of honey and a little milk to this. Mix them thoroughly to form a paste. Use this paste to scrub the face in circular motions and then wash.
Take 4 tablespoons of chickpea powder. To this, add half a tablespoon of turmeric powder, a few drops of rose water and milk. 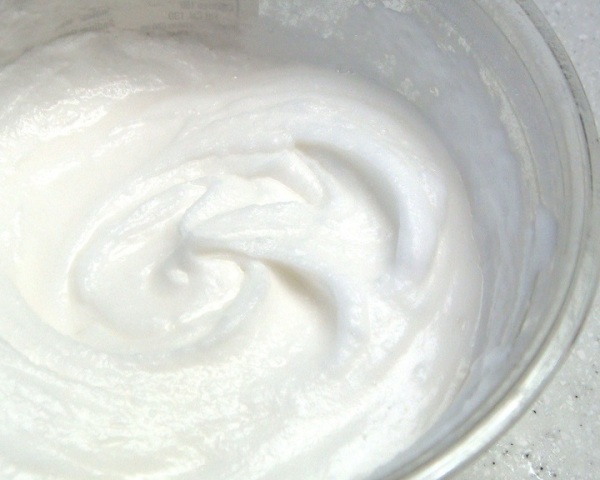 Form a coarse paste and apply it on the face in circular motions. Leave the paste to dry and then wash off. This is especially good for people with oily skin.